Members of Congress to unite, along with leaders of the Jewish community, to pay tribute to the success of Iron Dome. Democratic and Republican members of Congress are set to unite on February 27, along with prominent leaders of the Jewish community and Ambassador Michael Oren, to pay tribute to the success of the Iron Dome anti-missile defense system, at a special event set to take place at the United States Senate. The Iron Dome Tribute event, coordinated by The Friedlander Group, under the leadership of its CEO, Ezra Friedlander, is a unique opportunity for Jewish leaders to gather with members of Congress and celebrate a shared triumph, as the Iron Dome is one of the most tangible manifestations of the strong U.S.-Israel alliance. "I believe that holding the event in Congress is a true expression of gratitude on behalf of the American Jewish community and those who value human life,” said Robert Rechnitz, Chairman of the Iron Dome Tribute. “The way I see it, the Iron Dome System primarily accomplished two significant things: It played a major role in the Israeli government's decision against a full-scale ground invasion of Gaza, and it saved the lives of countless civilians by protecting them against a barrage of deadly rockets fired at their neighborhoods and their homes,” Rechnitz said. In November of 2012, the world's eyes were fixed on Israel. With over 1,500 rockets from Gaza bearing down on Israeli civilians, a barrage of destruction seemed imminent. However, only 55 rockets fell in urban areas because the rest had been effectively disabled by the Iron Dome anti-missile defense system. In the late 2000's, the Iron Dome system was implemented in response to the decimating short-range missile attacks from Lebanon and the Gaza strip. The missile attacks put Israeli citizens in harm's way and caused many civilian deaths and large-scale evacuations during the Second Lebanon War. When missiles were smuggled into Gaza, the problem escalated and became a massive security threat, as a million Israeli civilians live in range of these missiles. In 2007, many defense ideas were proposed but the Israeli Defense Ministry selected the Iron Dome concept, and since then hundreds of millions of dollars have been used to further develop this critical system. 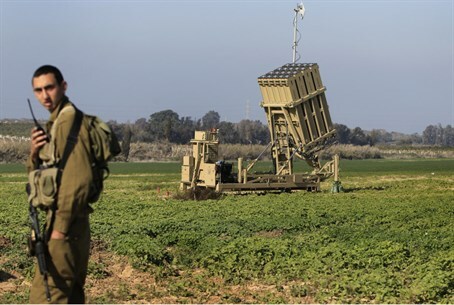 During the recent Israel-Gaza conflict, the Iron Dome had unprecedented success and was responsible for saving the lives of numerous innocent men, women and children residing in southern Israel. Although not responsible for the system's initial development, without the unwavering support of the United States, this monumental victory would not have been achieved. In 2011, Congress approved $205 million in funding for the Iron Dome and later added another $70 million. "This (Iron Dome) is a program that has been critical in terms of providing safety and security for Israeli families," President Obama said at the time. "We will also be honoring the memory of the late Senator Daniel Inouye of Hawaii, who earned iconic status for his steadfast support of Israel and the needs of the Jewish people. Senator Inouye was an extraordinary American patriot and hero who deeply understood the importance of the US-Israel relationship. As chairman of the Senate Appropriations Committee, Senator Inouye ensured that America's staunch ally, Israel, had the necessary resources to defend its people," Rechnitz continued. Many notable speakers will share thoughts on the importance of the vibrant relationship between the United States and the State of Israel that has recently manifested itself in the outstanding performance of the Iron Dome Missile Defense System as well as their memories of Senator Inouye. Speakers include House Foreign Affairs Chairman Ed Royce (R-CA) and Ranking Member Eliot Engel (D-NY), United States Senators: Rand Paul (R-KY), Pat Roberts (R-KS), Brian Schatz (D-HI), Roger Wicker (R-MS), Johnny Isakson(R-GA), James Inhofe (R-OK), Mark Warner (D-VA), Joe Donnelly (R-OH), and Jeanne Shaheen (D-NH), United States Representatives Joe Kennedy: (D-MA), Trent Franks (R-AZ), Bill Johnson (R-OH), Adam Schiff (D-CA), and Matt Salmon (R-AZ); Ambassador of Israel to the United States Michael Oren, Irene Inouye, wife of the late Senator Daniel Inouye of Hawaii, and former CIA Director Robert James Woolsey, Jr. Former Comptroller of NYC, William Thompson will also be delivering remarks.